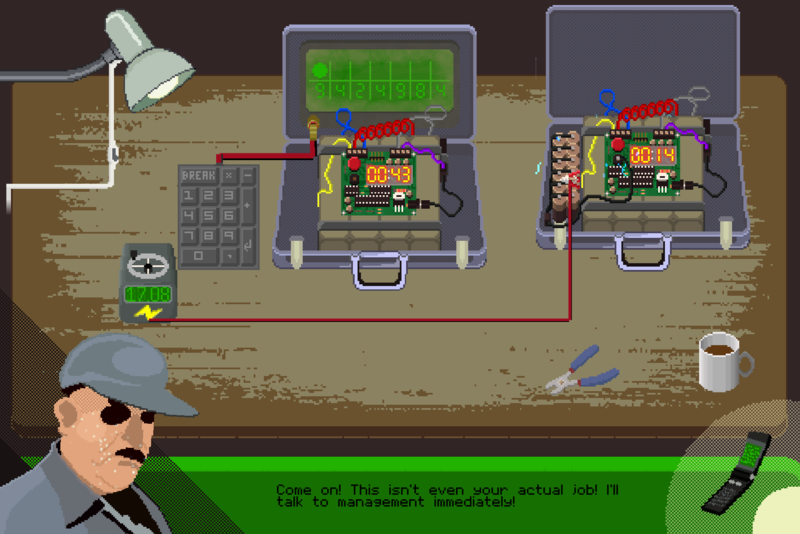 You play as a janitor/office worker diffusing bombs with instructions over the phone. This is a game about disarming bombs. It’s very inspired by 80s/90s action movies with all their cheesy goodness. 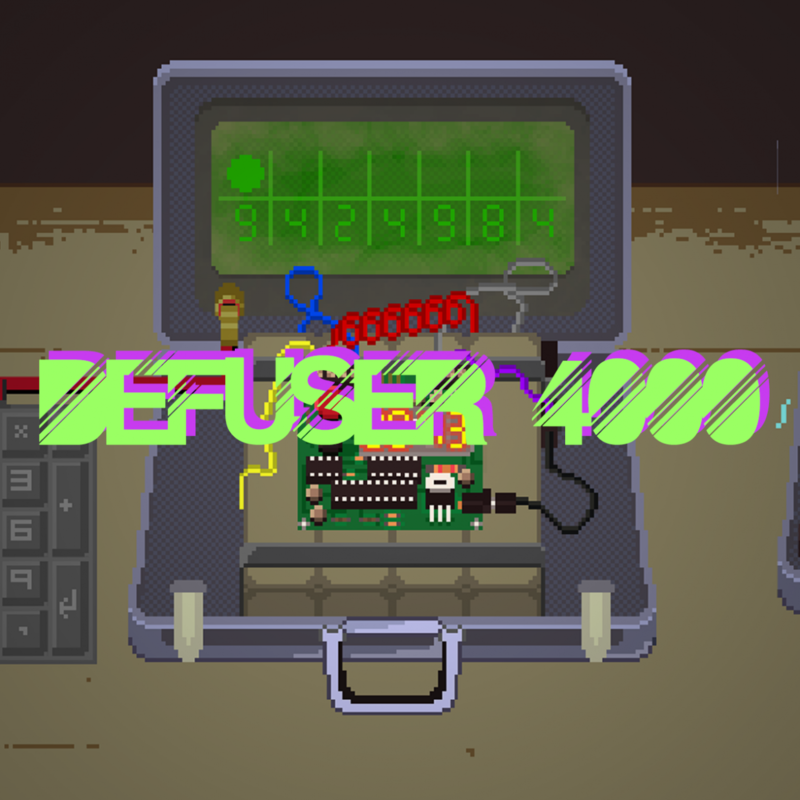 It’s a Papers Please-style game with 2 button controls (left and right mouse button).